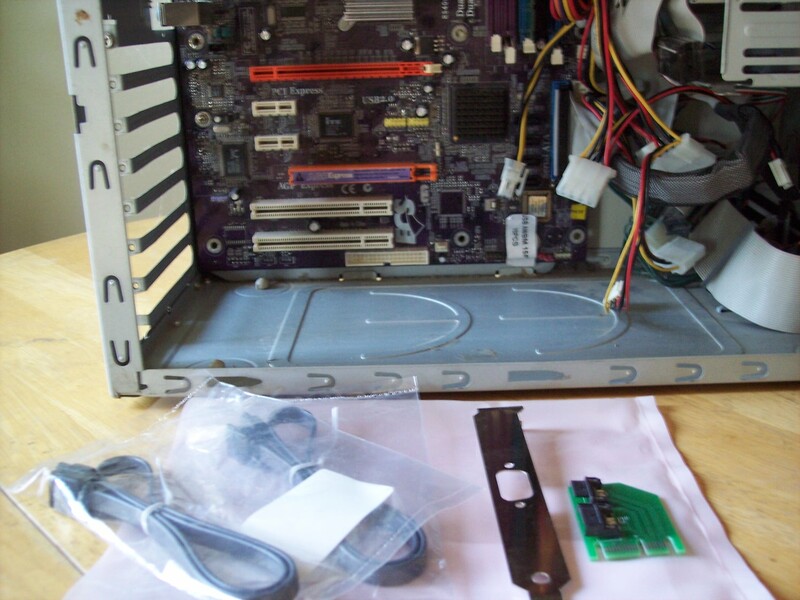 The XPRS-HOST-DT is mounted in a desktop computer system with PCI Express slots. The kit of XPRS-HOST-DT product includes a metal bracket and 2 cables with length of 1.6ft / 0.5m. A desktop computer system with PCI Express slots normally includes 1 x16 PCI Express slot - shown on upper side, and one or more x1 PCI Express slots - 2 slots on this image. 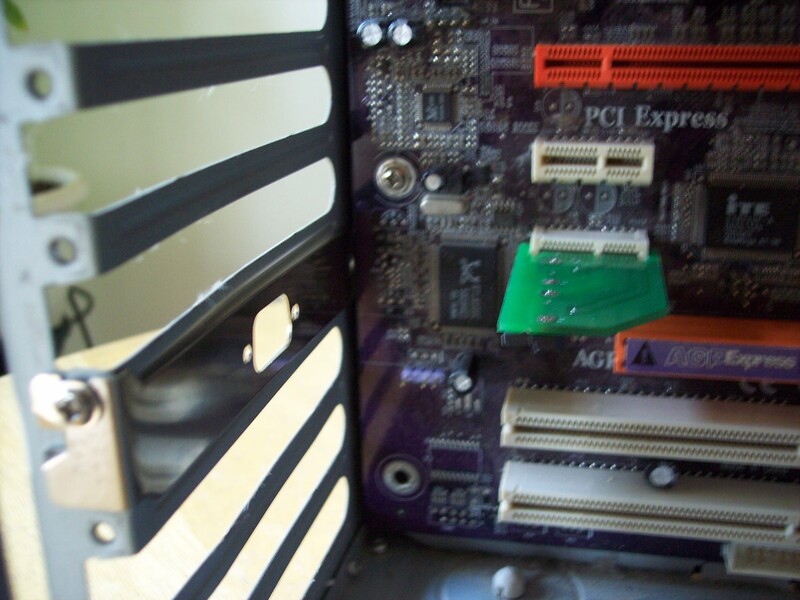 The image below shows - mounted XPRS-HOST-DT in one PCI Express x1 slot, and mounted and attached metal bracket. 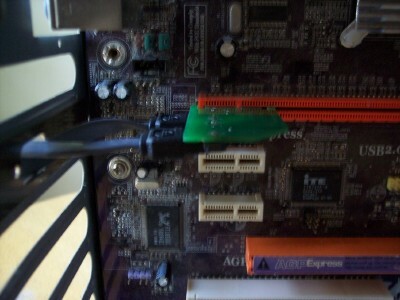 Put the cables through the opening of the bracket. To assist with the mounting of cables, remove XPRS-HOST-DT, connect cables, and place again in the same PCI Express x1 slot. The XPRS-HOST-DT allows multiple ways of use - as shown below. 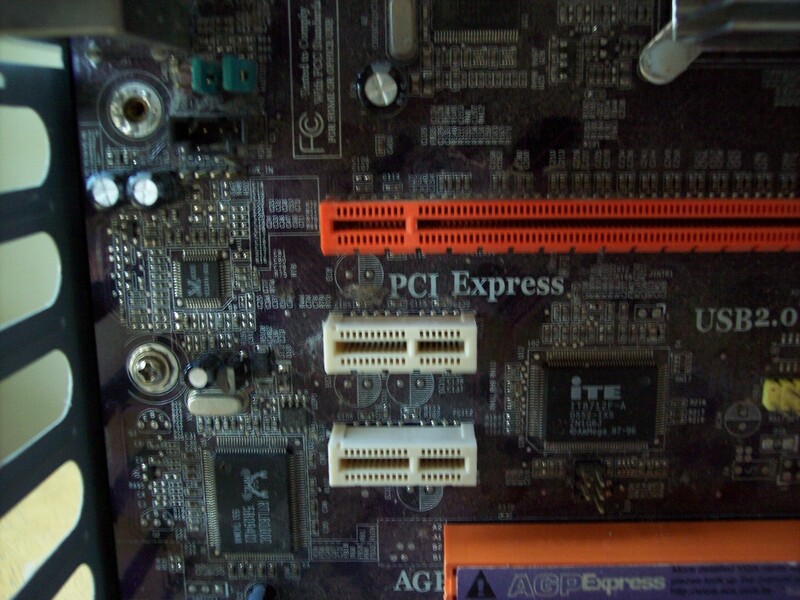 The PCI Express standard has compatibility between x1, x4, x8, x18 interfaces. 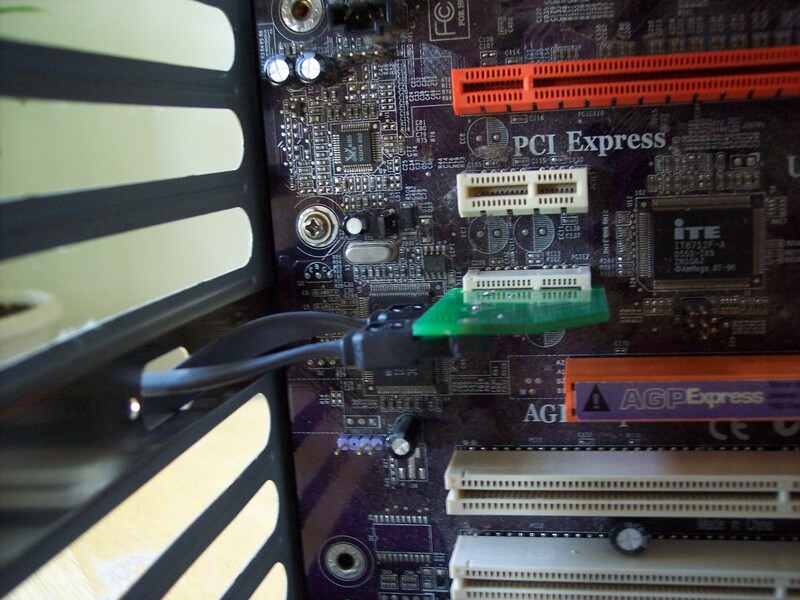 The XPRS-HOST-DT allows plugging in a PCI Express x16 slot and using it from there. A desktop computer system with PCI Express slots normally includes multiple PCI Express slots. 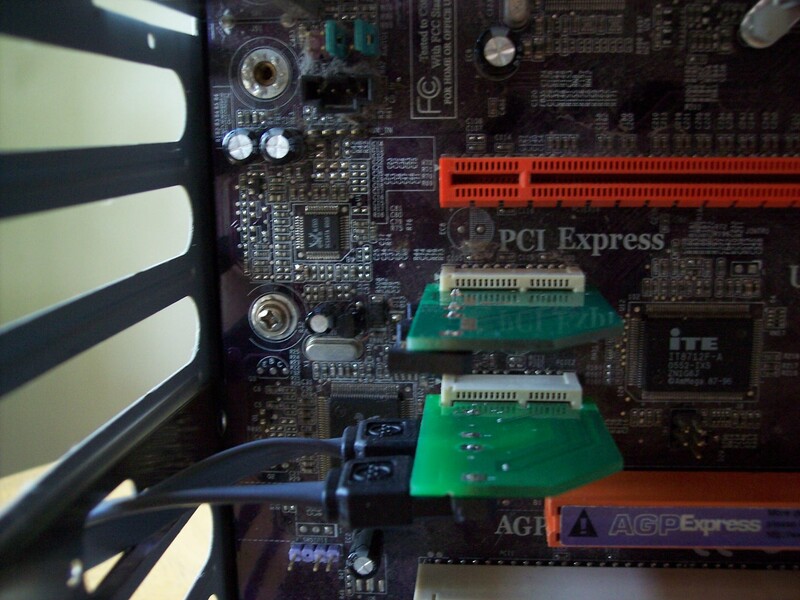 Multiple XPRS-HOST-DT cards may be mounted in the desktop system - up to the total number of available PCI Express x16 slots. 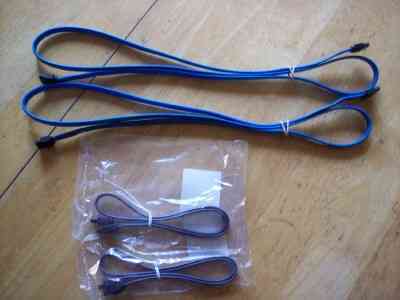 The XPRS-HOST-DT kit includes 2 cables with length of 1.6ft / 0.5m.